If your order weighs less than 13 ounces, save huge on shipping with USPS first class (with tracking number). This product weighs 5.6 oz. 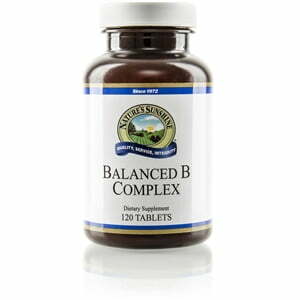 Nature’s Sunshine Balanced Vitamin B-Complex promotes proper absorption of B12. The formula contains no animal byproducts, making it suitable for vegetarian consumption. 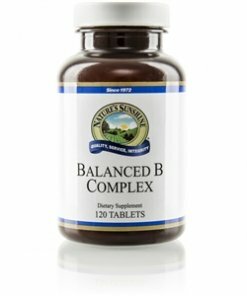 Because the body does not need the same amount of every B vitamin, Balanced Vitamin B-Complex is formulated to help the body properly absorb the necessary amounts. Cellulose (plant fiber), stearic acid, inositol, choline, para-amino benzoic acid (PABA), magnesium stearate (vegetable), Wild Lettuce leaves (Lactuca virosa), Watercress leaves (Nasturtium officinale), Cabbage leaves (Brassica oleracea), and rice bran polish.